This week Jaquelle and Sean talk about why we have so many denominations and whether that’s good or bad. They also talk about their juice cleanse — and why Jaquelle had to stop early… and why Sean had to call 911 on her. 03:51: What happened to Jaquelle on her juice cleanse. 07:54: Introducing this week’s topic: denominations. 08:47: What is a denomination? 16:40: Division is necessary (because doctrine matters). 16:57: A 30-second history of denominations. 20:26: Diversity is a blessing. 23:54: What are the benefits to denominations? 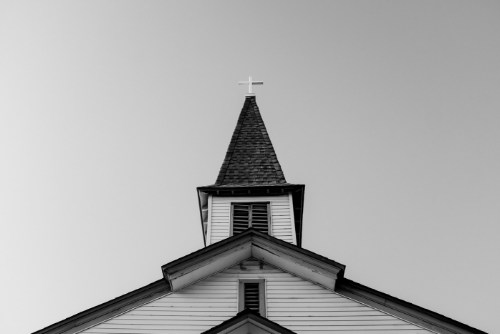 29:52: Dealing with some myths about denominations. Hey Mr. Sean. I am a Reformed Presbyterian,(PCA) and I was wondering what made your church Reformed Baptist? Do you believe in Election and Predestination? I heard you mention that you don’t believe in infant baptism, may I ask why? I’m not trying to start an argument, I just really enjoy learning why people believe different things and how they interpret the Bible on different points. Thank you so much for your time! Hey Tanner. Thanks for your comment and questions. The short answer is that Reformed Baptists share much in common with Presbyterians. We are Calvinists like y’all, we are confessional like y’all (though instead of the Westminster our confession is the 2nd London Baptist Confession of 1689, which happens to be largely based and in many articles directly copied from the Westminster) and we are covenantal, SORT OF like y’all. That last one is where the primary difference arises. While Presbyterians understand the Old Covenant and the New Covenant to be two administrations of the one covenant of grace, we RB’s understand the old covenant to be the old covenant and the new covenant to be the new covenant. We see the new covenant foreshadowed in the old covenant, but we do not believe that the new covenant was instituted until the death and resurrection of Jesus. For that reason, we see more discontinuity between the Old Covenant and the New than y’all, one primary difference being that entrance into the new covenant is not through birth (John 1:12-13), but through repentance and faith (Mark 1:14-15), which is why we do not baptize infants, we only baptize those who confess their faith in Jesus. Hope this incredibly short answer to a very complex issue is helpful. If you want to know more about what RB’s believe here is a link to our confession https://www.the1689confession.com/ Again, thanks for your comment and thanks for listening to the show. Thank you! May I ask where you get the Two separate Covenants from Scripture? We believe that since infants were circumcised, and since Jesus did not state a change in the New Covenant on baptism, that we too should baptize infants as they are a part of the covenant. Why do you think that infants are apart from the Covenant? Unfortunately, I do not know many Baptists that know much about what they believe, (although, I am no great theologian either) so thank you very much for taking your time to answer my questions. Thanks again for your comments and questions, Tanner. Unlike you, I know many who disagree with me on the issue of covenants (i.e. Presbyterians) who know what they believe, and have debated them at length concerning our differences in theology. That said, I would encourage you to do what I have done to understand the position of those who disagree with me on issues of theology, namely, read and understand their confession and study what they believe. So, as I said in my previous post, if you want to know more about the Reformed Baptist position, read the 2nd London Baptist Confession of 1689, and in particular chapter 6 and 7 and 19 and 20 which all address the issue which your most recent question concerns. If you want to learn further about the difference between the Reformed Presbyterian view of covenants and the Reformed Baptist view, check out this video https://www.youtube.com/watch?v=zqKSYurdDJk&feature=youtu.be . If you are still itching to know more about the Reformed Baptist position, check out either of these two books – The Distinctives of Baptist Covenant Theology by Pascal Denault or Recovering a Covenantal Heritage edited by Richard Barcellos.